This necklace features a beautiful swarovski crystal pendant wrapped with gold vermeil and tiny swarovski crystal beads wrapped with gold fill wire. 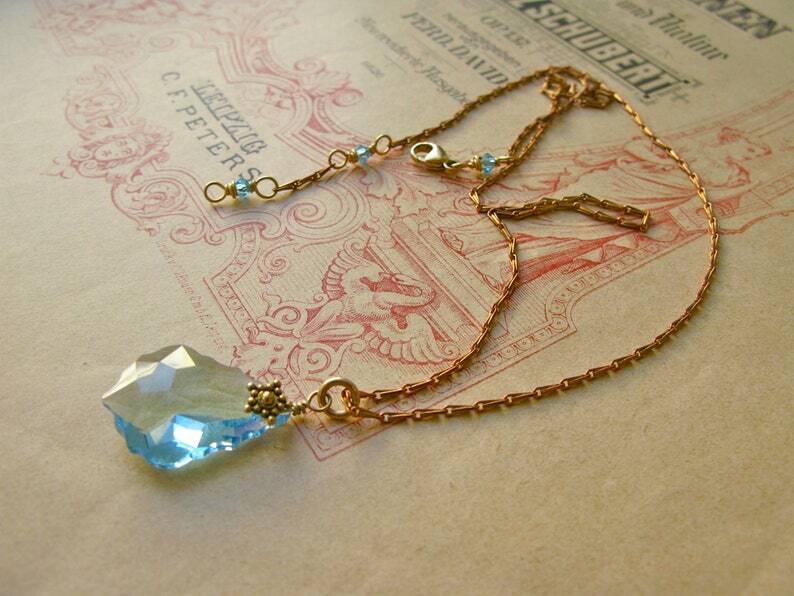 Delicate, stylish brass chain. Clasp and all other findings gold fill. Length of necklace is adjustable between 42 and 45cm. Length of pendant part approx. 3cm.